Eva Lee has always had a fascination with American antiques and all things vintage. 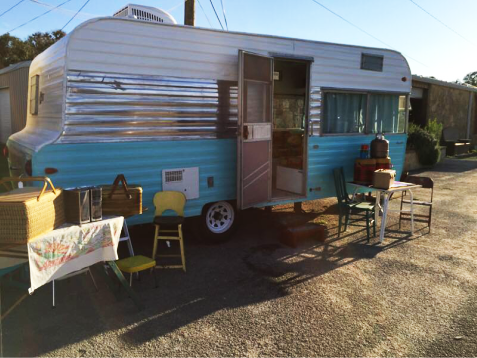 So it's no surprise that Country Accents Antiques newest venture is restoring these American Artifacts - vintage travel trailers that once owned the open road... come along and enjoy the journey! Vintage Trailer Restoration! A '67 Kenskill.